with the aim to attract a major backer for their F1 engine program. Petronas was suggested as the backer. Back then Petronas tried to convince Porsche to design a F1 engine, financially backed by Petronas. Even Lotus was rumoured for a brand new engine. However, when the deal was done I became known that one of the main backers of AMT was Hideo Morita an heirs of Sony. Some other plans were announced that AMT was to create and build also different kind of electrical equipment. What was for sure is that Enrique Scalabroni was one of the key persons in the AMT project. 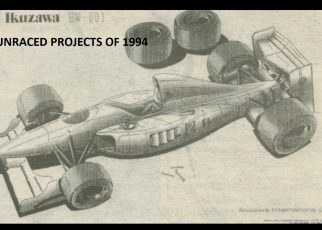 The rumour said also that the ultimate plan was to create their own F1 team, which almost happened a few years later. Their involvement with the Arrows team was just the beginning of a long term plan. AMT continued to work in Velizy and all former Peugeot employees stayed at AMT, which increased the development budget with 60%, the base for a great engine was there. And the future for Arrows AMT looked bright. 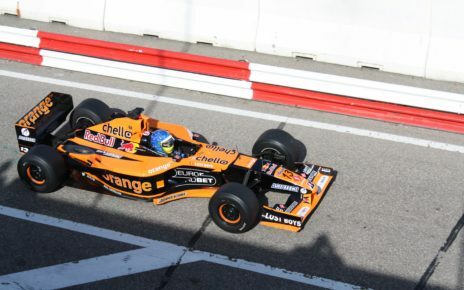 At that time the Orange Arrows team was back on track with their Arrows A21 the team managed to score a couple of points, and impressed many teams with their speed. There was no reason not to think so. What was even more surprising was the fact that Asia Motor Technologies was to utilize an extreme lightweight engine, however the durability of the engine would be less and this would mean that AMT had to build at least 200 engines for a whole season. Including engines for test sessions. So why did Orange Arrows choose for AMT? It is not sure why, the team had a more year deal with supplier Supertec, however it was rumoured that Tom Walkinshaw had a meeting with the management of Supertec and they said to him that they could not supply the Arrows team with engines for the next year. It could also be that Arrows now had an exclusive deal and for that reason was fully backed by an Engine manufacturer. The engine deal meant for AMT they would supply the Arrows team at least for 2 years. The Arrows team received in August the first AMT A20 V10 engine, the team fitted the engine in one of the spare Arrows A21 chassis, and the Arrows AMT A21 was born. 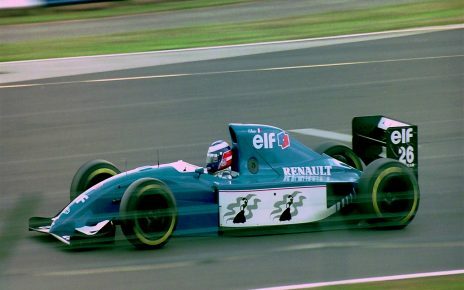 In between the Japanese and Malaysian Grand Prix both Jos Verstappen and Pedro de la Rosa flew to the Valencia circuit to test with the Arrows AMT A21. As it was not able to test in November, because of a testing break. It was the first time for both drivers to drive with the new AMT V10 engines, which were already a bit improved. Mike Coughlan, back then Arrows Technical Director, stated after the three days test session with the Arrows AMT 21 was completed. 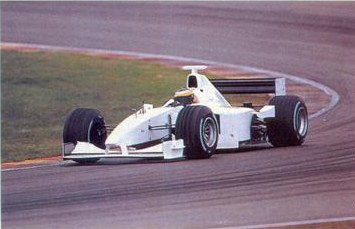 The first test with the Arrows AMT A21 was held on the 11th of October 2000 and the car appeared in a white livery. AMT was in charge of the car, and if something would happen with the car, AMT would be responsible for it and not the team. The 11th and the 12th of October Pedro de la Rosa took the wheel and tested with the Arrows AMT A21, however on Wednesday he had less luck when he damaged the front wing by debris that lay on the track due bad weather. Though Pedro was delighted with the new AMT engine. Jos Verstappen took the wheel of the white arrows on the last testing day. Jos his test with the Arrows AMT A21 was mainly to test the electronica of the engine, to see if it can hold and were it can be improved. 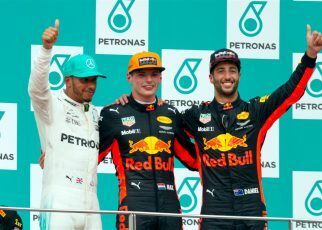 Verstappen was impressed and mostly positive about the new engine. There is not much known of the testing times. During the test session on the 12th of October 2000 also Panis tested with the Mclaren, these are the unofficial times. There is nothing know about the test times of the other two testing days. However, in 2001 AMT changes its name, but I couldn’t properly found out why they did this. Probably to give the Asian investors a more warm feeling towards the engine project. 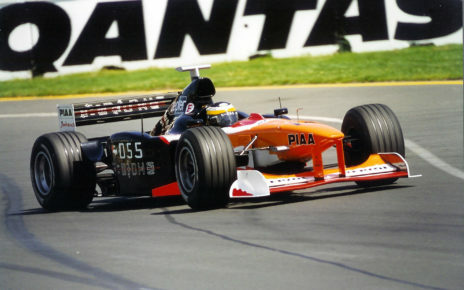 Arrows would drive in 2001 with the Arrows A22 powered by Asiatech. 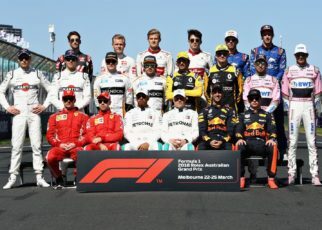 At the end of the season, when the team scored only one point during the Austria Grand Prix, the team was disappointed and discontinued the contract with Asiatech. Asiatech would supply the Minardi team a year later with engines. That same year the company announced their own Formula One team. But in late 2002 Asiatech went bankrupt.